Day 2 Run to the original circuit – We ran down to Brenais, some 25 kms from the chateau. the cars all had up to three runs around the semi closed and semi controlled public roads making up the route. 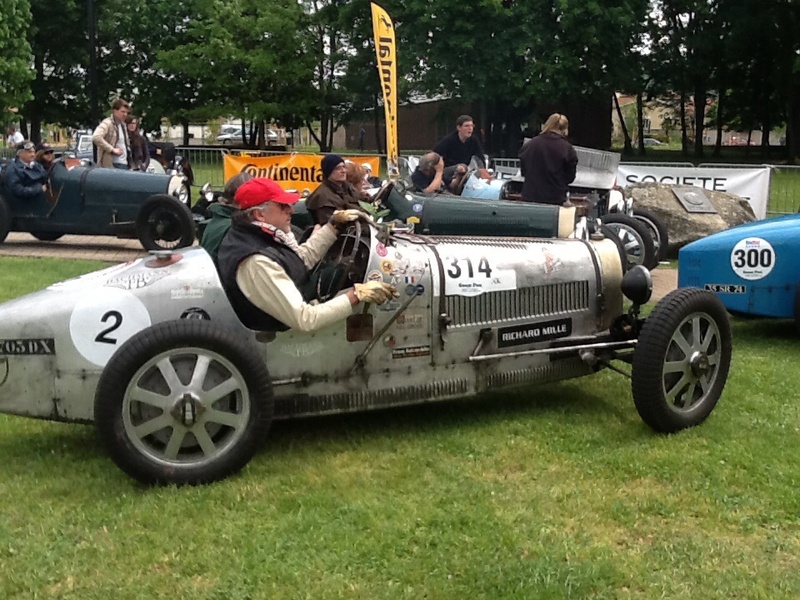 The cars were all marshalled and let loose on the public roads at 10 sec gaps. Hurry up and wait was apt. The mix of pristine cars and “as is” was a highlight. As was the quest for cool. This was about 30 kms a lap. I had a very enjoyable run in a 1947 Simca. enjoy the ride with me…..
the crowds were great. you felt like a rider in the Tour de France. dinner at 8 at the chateaux. not even back to the hotel first…… Must be getting old(er). Met up with George Wingard (1914 GP Mercedes) and his crew James, Goy Feltes (T35 Lyon car), Luc and Thomas Slijpen (T35 T). This entry was posted in Uncategorized on May 2, 2014 by geoff.